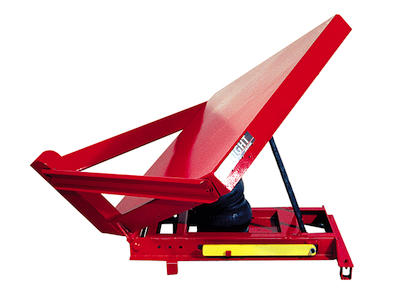 Knight Tilt Tables tilt dunnage for easy loading or unloading, making for a safe and efficient workplace. 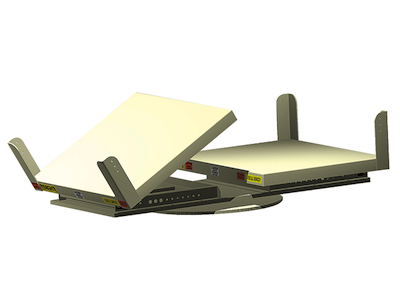 They reduce time lost to personnel injuries and help increase productivity. Tilt Tables can be designed to fit a multitude of application and come equipped with hydraulic steel fittings. Polished chrome shafts are used at all slide and pivot points to minimize the wear and prolong component life. We also offer optional stainless steel braided hydraulic hosing for increased durability. 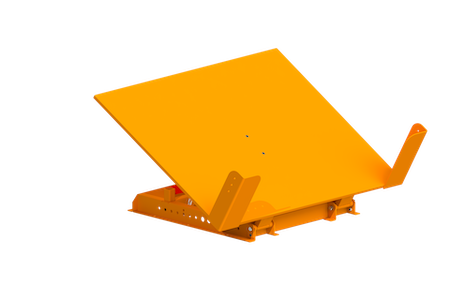 Tilts dunnage for easy loading or unloading. Tilts loads to the proper ergonomic heights and positions loads for the operator. Max. Capacity: Up to 4,000 lbs. [1,814kg]. 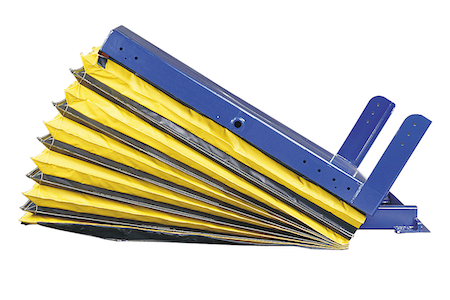 Maintains clearance on the unload side of the table with our patented slide and tilt motion. Has up to (4) four position configurations that allow parts to be continuously supplied to an assembly station.